SFMS – Employee Status & Task Completion : CIS Technology, Inc. Employee Task Completion. This module provides the ability for employees to indicate when they have completed working with an event. It is primarily applicable to Jackpots and Machine Tilts. With Machine Tilts, the Task Completion signal may be defined as, for example, ‘Employee Card Out’. 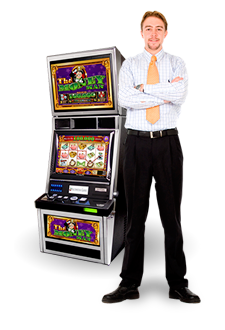 Jackpot completion may be defined as, for example, a specific keypad entry by the employee working on the event. Employee Status Display. This new display shows the employees that are logged in and what event(s) they are currently working on, if any. The “Clear on Bank” functionality for change light events does not facilitate Task Completion capability. To identify employees that are “busy” on a change light event, the Task Completion processing rules for change lights can be configured to specify a certain period of time to show the employee as “busy” for a set period of time, for example, three minutes. In other words, since the employee cannot specify when they are done with the change light, the system will automatically make that employee “available” again after the predefined period of time. Employees may also be identified as being “On Break” and “Off Break” through this display if desired. Note that an employee will automatically be taken “Off Break” if they clear an event while at a status of “On Break”. Active Task Status Display. This display shows the events that are currently “In-Task” waiting for task completion. When all tasks are complete, this display is blank. The Jackpot event is received and displayed on the Dispatch and Request Status windows. The event is dispatched, and removed from the Dispatch window. While the guest is waiting for an attendant to arrive, the event stays in the Request Status window. The completion (“Clear”) of the event. The start of the “Task”. The event is removed from the Request Status display, and added to the Active Task Status display. The employee that cleared the event is automatically assigned the “Task” of completing the event, and will be shown on the Employee Status Display, as “In Task”. Upon completion of the Jackpot and just prior to placing the machine back in service, the employee inserts their card in the card reader (if their card is not already in the reader) and enters a code identifying that the Jackpot “Task” is complete. The Task is removed from the Active Task Status display, and the employee is shown as “Available” on the Employee Status display.